Corboy & Demetrio Partner Francis Patrick Murphy was named an Illinois Super Lawyer for 2019. It’s the 15th consecutive year for Patrick’s selection, which is every year since the award’s inception. No more than five percent of the lawyers in the state are selected by the research team at Super Lawyers to receive this honor each year. Super Lawyers, a Thomson Reuters business, is a rating service of outstanding lawyers who have attained a high degree of peer recognition and professional achievement. Patrick has been a partner at Corboy & Demetrio since 1991 and regularly handles complex personal injury and wrongful death cases. He is a highly sought-after lawyer in porch and deck collapse cases due to his extensive experience and numerous successes, including representing several victims of the 2003 Lincoln Park porch collapse and helping to broker a global settlement of $16.6 million. Recognized as an attorney in the top 5% of all Illinois lawyers by the Leading Lawyer Network, Patrick has an AV rating - the highest level awarded for professional excellence - from the Martindale-Hubbell Law Directory. 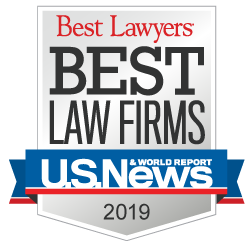 In addition, for the last 10 years, Patrick has been selected to the invitation-only Lawdragon 500, the top 500 leading lawyers in the country. He is also a member of the invitation-only Irish Legal 100, the top 100 attorneys and judges of Irish descent nationwide. Patrick serves as an adjunct professor at Loyola University Chicago School of Law, where he has taught for over 30 years.